On 17 October 2018, the Engage Toronto Research Team conducted a knowledge translation and exchange event to share preliminary findings from the Engage study and to receive feedback from the local community. 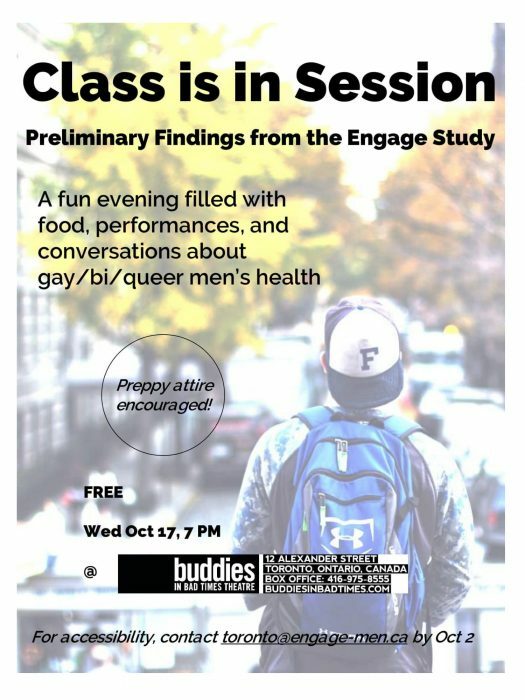 The event included three presentations of preliminary analyses of Engage data, an interactive arts exercise, a drag performance, and conversations about Engage findings and gay, bi, and queer men’s health more broadly. Click here to check out our presentations from the event. Thank you to everyone who attended the event – we had over 40 attendees! 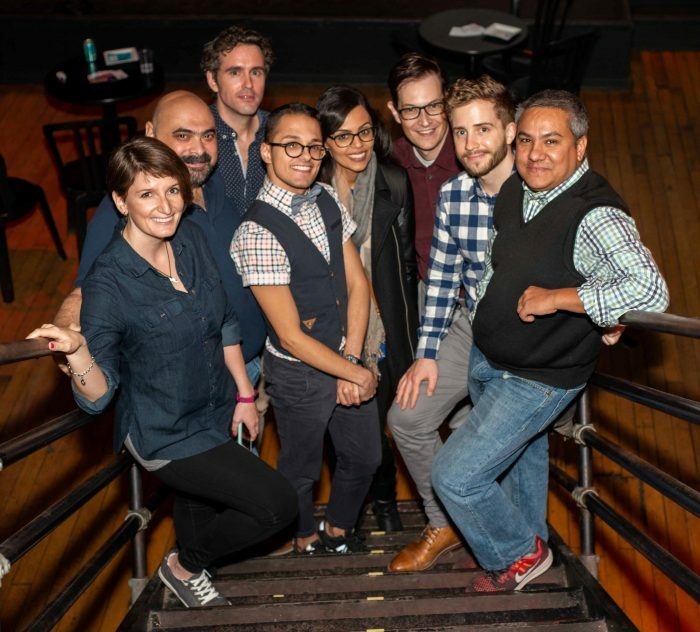 And thank you to everyone who made this event possible: our participants, presenters, funders, team members, DJ, performer, and photographer, and the lovely team at Buddies! 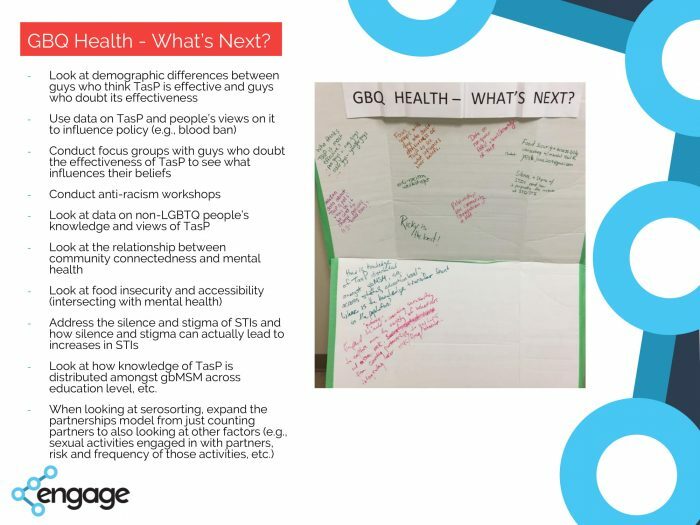 Here’s what folks from the event told us they wanted to see next in terms of gay, bi, and queer men’s health. If there’s anything else you’d like to see, let us know at toronto@engage-men.ca so that we can discuss these exciting ideas with our team members.